If you have trouble reading this e-mail please click here. The original release for Janelle Monique’s album was on January 15, 2009 but the power went out leaving thousands of people in the west-end of the city in the dark, some for over 24 hrs but now the release has been re-scheduled and It'll be sweeter than the ripest fruits that graze the tip of your tongue! Vocalist Janelle Monique will release her debut album ‘You Go To My Head’ with special guests Max Senitt Y Sus Amigos. 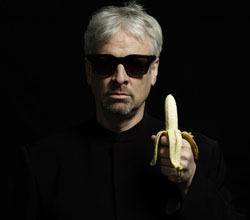 Whether you know Jaymz Bee as a friend, entertainer, radio personality, producer or writer, we're sure you'll want to attend a free party in celebration of his birth. Jaymz has vowed to celebrate turning 42 until he turns 50, making this his fourth annual 42nd birthday party. He has chosen The Reservoir Lounge, as it is one of his favourite jazz venues in Toronto and just happens to feature one of his favourite acts; Sophia Perlman & The Vipers. While this is not an open mic, Sophia will invite renowned vocalists and musicians to sit in occasionally. Arrive early, as the club gets packed by 10. Doors are at 8 and you only require reservations if you are dining. This is a pass-the-hat, pay-what-you-can event. Toronto's historic Old Mill – 21 Old Mill Rd. 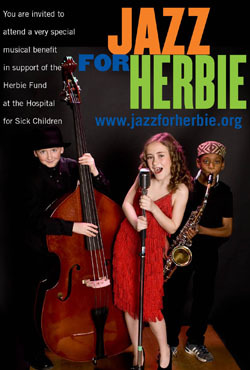 Jazz for Herbie is the jazz community's premier musical event which raises awareness and funds for The Herbie Fund. 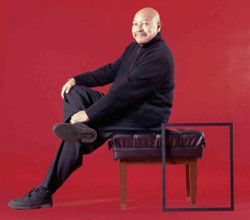 Since 2002, Jazz for Herbie has raised thousands of dollars for The Herbie Fund. 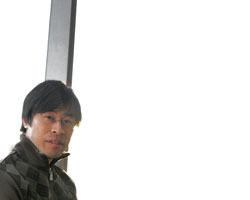 Hundreds of musicians have donated their talents. The roster has included established players like Jane Bunnett, Archie Alleyne, and Sophie Milman, and younger stars like Thompson Egbo-Egbo, and the students of Humber College's Community School. This year’s lineup is an all-star one: legendary vocalist Jackie Richardson, eternal hipsters The Shuffle Demons, and rising star pianist / vocalist / composer Laila Biali. Get Set to Tour Again! The William Carn Quintet is set to tour again! After the release their second album Lessons Learned on Timely Manor distributed by Fontana North / Universal Music Canada to rave reviews and national tours the group bring in spring with yet another tour. The tour includes performances for the first time in Winnipeg, a return to Edmonton and culminates in the recording of a LIVE performance CD at Vancouver's Cellar Jazz Club and a show in Toronto at the legendary Rex Hotel. A Brazilian samba group, lead by Maninho Costa from Rio de Janeiro, made up of percussionists from the community consisting of Brazilians, Canadians and other cultural backgrounds. The group was created in 2003 to perform at the annual Brazilian Carnival Ball in Toronto and has since continued performing in a variety of venues and festivals. 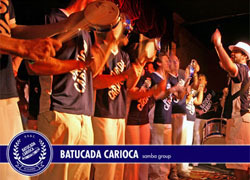 Batucada Carioca gives you an authentic taste of the baterias from the infamous Rio Carnaval playing traditional hits from the largest samba schools of Rio de Janeiro. In addition to traditional hits, the group also fuses modern hits with a heavy samba groove, guitar, cavaquinho and a variety of guest vocals. Hosted by "Ukerists" Rye 'n Ginger, this down to earth event is always a ton of fun and is constantly gaining in popularity. 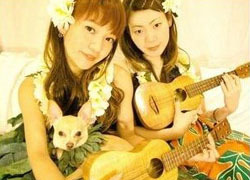 Music shops report a huge increase in ukulele sales in the past year making this series a well-timed treat. You can go to their site to download lyrics and chord changes to the song-of-the-week or just show up at the club to watch and listen. Yeah, it's in May and this is an April release but since more than half the tickets are already gone, we at Bullhorn decided we better get this information to you right away! "Jazz Lives" is one of the highlights of the year for jazz enthusiasts and is the biggest single fundraising event of the year for JAZZ.FM91. Over twenty big name artists will entertain the 1700+ capacity crowd. Guests this year include Larry Coryell, Jill Barber, Gene DiNovi, Ranee Lee, Joe Sealy, Colin Hunter, Dan Hill, Lenny Solomon, The JAZZ.FM91 Youth Big Band and just announced additions to the line up include: Kenny Barron, Drew Jurecka and Jim Galloway. The house band is once again under the direction of Russ Little.